A kind lady shared with me her testimony regarding the sacramental, St. Raphael's Healing oil. For those of you not familiar with Father Joe Whalen's ministry, I was asked to once again post about it. Father Joe Whalen has an amazing conversion story. He started a special healing ministry. You can read more about it here. I have known about this healing ministry for a while now. I like to keep the healing oil and accompanying prayer cards at home because there are times I feel the need to share them with those who may benefit from it. I have shared them with Catholics and non-Catholics alike. However, with the non-Catholics, I make it very clear that it is not a new-agey-type of healing. It is a sacramental as is holy water, rosaries, etc. Quite a while ago you posted about St. Raphael’s Holy Oil. I wanted to thank you for that because due to your post, I was able to recommend the holy oil to several family members suffering from serious illnesses, and thanks be to God, they were cured! I never miss an opportunity to spread the word about Fr. 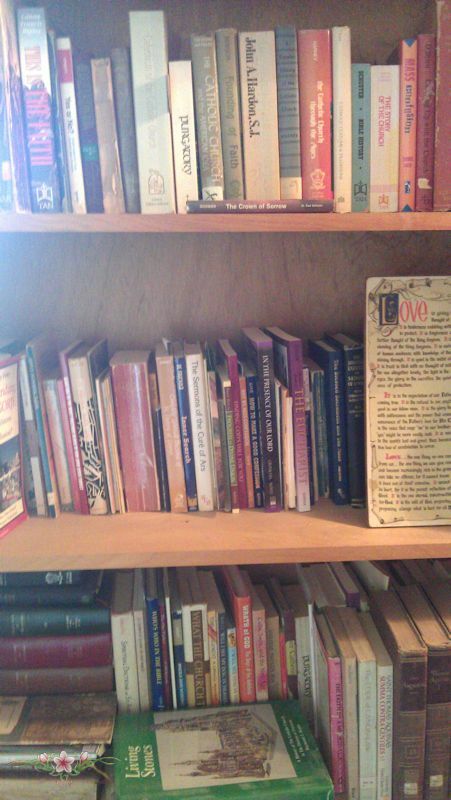 Whalen and St. Raphael’s Holy Oil and am so grateful for your post. I wanted to suggest that perhaps you post that again, as some of your readers may not know about it. Thank you dear reader for sharing your testimony! I would ask that you keep Father Joe and his ministry...and staff in your prayers, so that they can continue to help others. 1. Prayer: The Key to Salvation by Father Michael Mueller, C.Ss.R. This classic is on sale right now at Tan Books for $3.28. Redemptorist spiritual writer Father Mueller, stresses with many examples and stories, the importance and necessity of prayer. "Prayer is not only the key to salvation, it is the necessary means to salvation." "Man cannot be saved without prayer. In order to understand this truth in its full extent, we must consider first, that we cannot be saved unless we fulfill the will of God; secondly, that we are unable to do God's will unless we are assisted by Divine grace; thirdly, that we obtain this grace by prayer alone; that consequently, we must pray in order to be saved." This book is directed to sinners, seminarians, in fact, everyone will benefit from this reading this book. 2. Defiance! : The Antichrists of History and their Doomed War against the Church by Rev. Joseph M. Esper. Published by Queenship Publishing. Now this was a very interesting book. Father Esper, who appeared on Women of Grace to talk about his book, has done a lot of research listing in chronological order, individuals who have done much evil in the world: from the Pharaohs of Egypt until the present time. They have so selfishly wreaked, evil upon people. Their acts of malevolence were the antithesis of Jesus, and therefore had to be labeled as an "anti-Christ". Father makes the distinction regarding an anti-Christ and the Antichrist. No one will know who the Antichrist will be until God permits us to know. But it is clear that throughout history the devil has been using certain malignant individuals as his precursors. "In her 2000 year history, numerous enemies of the Church have attempted to destroy her-and every one of them has failed, usually at great personal cost. From the perspective of Heaven, the Church is often threatened, but never conquered- and in troubled times, it's more important than ever for Catholics to hold this truth and find reassurance in it. Defiance!...by Fr. Joseph Esper reminds us of the Church's many victories over her assailants, and demonstrates that-through the power of God-she will continue to triumph over every assault of her foes, including her ultimate enemy, The Antichrist himself..."
3. The Spiritual Life was written by Father Jean Nicolas Grou and published by Sophia Press. It can be purchased here. Of the five books listed, this one has to be my favorite. It is more of a maintenance manual for your soul. 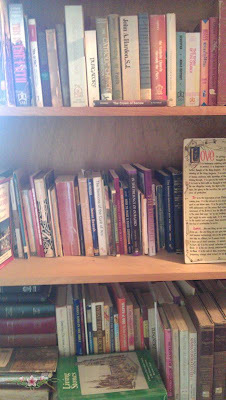 The book often refers the reader to his or her spiritual director. But even those of us without a spiritual director will benefit abundantly from each and every word written in this masterpiece of spiritual reading. I am almost at the end and I will be re-reading it as soon as I finish the first time. This time I will be making notes in the book itself. It is book that must be read over and over again just like, The Imitation of Christ and Spiritual Combat. "From the ashes of Revolutionary France: A manual to help you hold fast to Faith in a barbaric, faithless world." "...This tough, uncompromising handbook will help you deal with all the obligations and problems of the spiritual life. As such, it teaches you what you need to know and to do when the comforts and supports of life have been swept away. Indeed, Fr. Grou reminds you right at the beginning that salvation is only won at a great price. He wrote this book for those who are willing to pay that price themselves. His focus is firmly on Christ, whom he maintains should be the model for your own spiritual life- not just in theory, but in the hard fact of sacrifice and love so great as to pierce your heart. Our times are not so far removed form the Godless irrationality that swept across France in Fr. Grou's day. That's why, in our own tumultuous age, The Spiritual Life is so desperately needed. It's the one guide that offers you real help to navigate the treacherous spiritual waters of today's world, and through it all, to keep the faith. 4. Father Damien .."A Bit of Taro, A Piece of Fish, and A Glass of Water" by Anwei Skines law and Henry G. Law. This book is available at Amazon and locally at the Cathedral Gift Shop and the Damien and Marianne Heritage Center in Waikiki. This beautiful book is a collection of stories by the people who actually knew Saint Damien. They lived and worked with him. They loved him. This book is also filled with rare photos of the people Father Damien ministered. Our own bishop Larry Silva wrote the introduction to the book. He shared the story he learned as an adult, that his great-grandfather had been sent to Kalaupapa for being suspected of having leprosy. This is a personal story to Bishop Larry which he graciously shared. 5. The Brothers Karamazov by Fyodor Dostoyevsky is the last book I wanted to recommend. Many of you may have already read this classic work or may even have it in your bookcase somewhere like I did. You can also read it online here. This was a book I intended to read many times but never did. It is an interesting narrative on these three brothers, their unlovable father and other notable characters, and it is just a good read. Even though this is a work of fiction, the reader will find herself/himself making notes of certain parts that are spiritually enlightening or helpful. Well, that is my Spring list of recommended reading. When my father was dying, my mother made sure he was well-prepared. Even now when we, her children, mention to her that an elderly friend is in the hospital or if a friend is in critical condition, she instructs us in what we HAVE to do. Today, we learned that someone is very critical. This person has been away from the Church for many years. This may also be this person's last illness. Thankfully, this person wants to return home to the Catholic church. Once again, my mother gave instructions of what must be done to help this person die a holy death. However, I have personally encountered the very sick and elderly people to be frightened when the anointing of the sick is mentioned. One elderly person would not let the priest touch her for the necessary anointing. It is to this priest's credit that he did all he could with someone not open to this sacrament, to finally be able to administer it as best he could. The reason for this reaction may be that the elderly person still confuse this beautiful sacrament of healing with the old name of Extreme Unction. That name may be associated as the sacrament for the dying. We should be aware that sacrament of the Anointing of the Sick is for the elderly, for the chronically ill as well as those in danger of dying. Receiving this sacrament may make a person open to God's healing, if it be His will. The other reason for the fear is that the devil and his demons may be already fighting for that person's soul. We need to pray but especially for those agonizing in death. Try to explain the importance and the benefits of this sacrament to the person in need of it but also to the family members (if you are not the immediate family member). 1. Contact a priest immediately and make arrangements for him to administer the anointing of the sick. Even if it is after hours, the church has instructions on how to reach a priest in case of an emergency. If you are a friend or a relative of the person in need, you may have to do this act of charity yourself as the family may be too distraught or confused at that time. IMPORTANT: A priest should also be asked to give an Apostolic blessing. The apostolic blessing with plenary indulgence at the hour of death should be imparted, following the reception of the last sacraments, to those who desire it while still rational and conscious. It may likewise be granted to anyone who has given any indication of such desire, or who has seemed contrite before becoming unconscious or irrational. But it must be denied absolutely to the excommunicated, the impenitent, or those who die in patent mortal sin. 2. 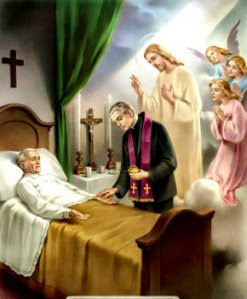 Bring holy water with you and sprinkle the sick person's bed with holy water as well as the entire hospital/hospice/bedroom with this powerful sacramental. The reason for this is that the demons will be surrounding a dying person, fighting God for that person's soul. When we use a sacramental like Holy Water, it will protect the person against evil forces. 3. Place a brown scapular over the person's neck. A dying person needs the protection of Our blessed mother and the promises she made for those who wear her brown scapular. "Take this Scapular, it shall be a sign of salvation, a protection in danger and a pledge of peace. Whosoever dies wearing this scapular shall not suffer eternal fire." 4. Pray the Chaplet of Divine Mercy while in the presence of the dying person. Chaplet of Divine Mercy for the Sick and Dying. “When they say this chaplet in the presence of the dying, I will stand between My Father and the dying person, not as the just judge, but as the merciful Savior” (Diary 1541) . 5. My family and I prayed the following prayer as many times as we could as our father was dying. It was the Ancient Prayer to St. Joseph found in the Pieta. It has been modified so that it can be prayed for someone in need. O St. Joseph, whose protection is so great, so strong, so prompt before the throne of God, we place in you all of NAME OF PERSON'S INTERESTS AND DESIRES. O St. Joseph, do assist NAME OF PERSON by your powerful intercession and obtain for NAME OF PERSON from your Divine Son all spiritual blessings through Jesus Christ, Our Lord; so that having engaged here below your heavenly power, I may offer my thanksgiving and homage to the most loving of Fathers. O St. Joseph, I never weary contemplating you and Jesus asleep in your arms. I dare not approach while He reposes near your heart. Press Him in my name and kiss His fine Head for NAME OF PERSON, and ask Him to return the kiss when NAME OF PERSON draws his/her dying breath. St. Joseph, patron of departing souls, pray for NAME OF PERSON. Amen.